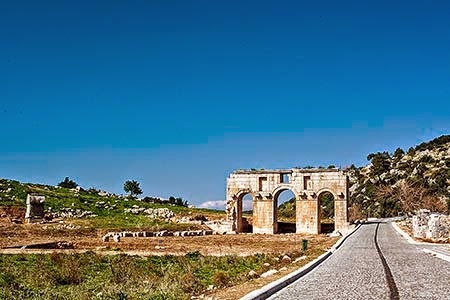 Patara is a popular stop on the Lycian Way hiking trail. More like a village than a town, it is not the spot for night clubbing. It is also off the main highway and remote from other towns if you do not have a car. So is it a must-see? That would be a resounding yes. 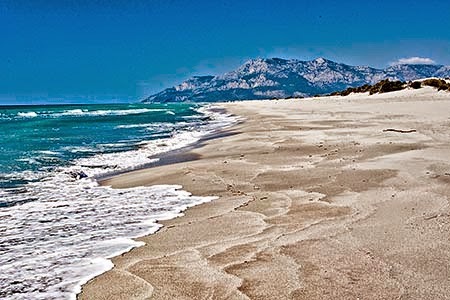 The Patara Beach has wide open spaces with 15 km of soft sand dune beach. 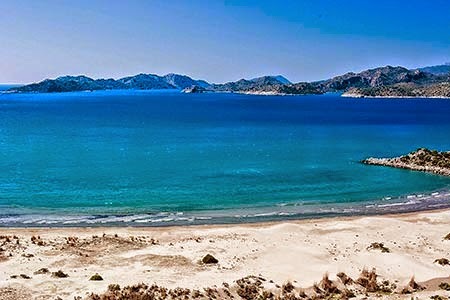 As described in Turquoise Coast Gems, Patara Beach is probably the best beach in Turkey. You can only reach the beach by walking through the Patara Archaeological Park, which prevents any commercial development. The park offers a weekly pass if you are staying here to enjoy the world-class beach, which was voted top beach of the world in 2005. Most of the time we keep leftovers from breakfast for lunch but alas there were no takeaways today. Unfortunately, sometimes we get hungry! And here we were going to the Patara ruins around noon. There were no open restaurants to be seen - it is low season: places open in April. In March it was sunny with temperatures around the low 20's °C, so it's very comfortable. But in the summer it will be very hot and there's very little shade. During the high season it is best to go to the ruins in early morning or late afternoon. Patara ruins are well worth visiting. In fact, these ruins were until recently covered with sand from the beach. The Arch of Modestus is a typical Roman triumphal arch but sorry, you no longer march through it on your way to conquer the beach. 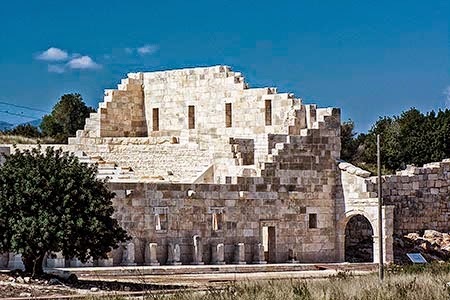 It was built during the reign of the Emperor Trajan around 100 CE to honour the first Roman governor of Lycia. 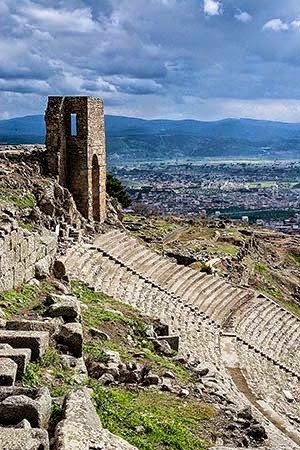 Lycia was fiercely independent and was the last region on the entire Mediterranean coast to be incorporated as a province of Rome and even then the Lycian Union continued to function independently. 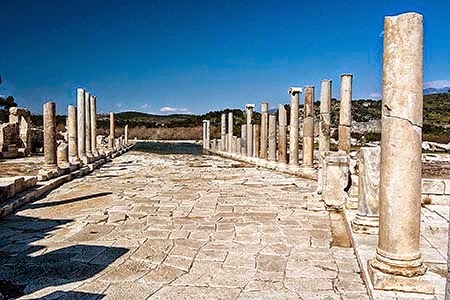 At 12.6 m wide, the Main Avenue was not only one of the largest in ancient Anatolia (see description of Anatolia in the Dalyan post), it was decorated with a colonnade. 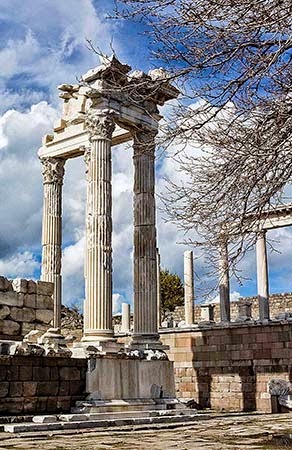 The feeling of grandeur has been resurrected with the restoration of the columns on each side of the ancient Roman paving stones. Previously hidden by sand dunes, the pièce de résistance is the Bouleuterion. It looks like a brand new theatre but it dates from first century BC! Because of its importance, it has been restored and you can go inside. 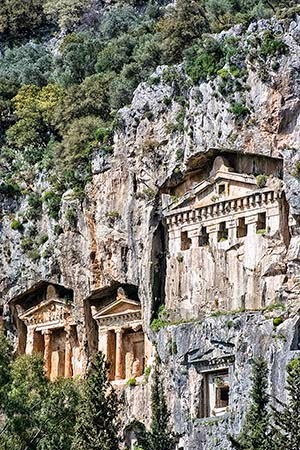 It was the meeting place for the Assembly of the Lycian League. 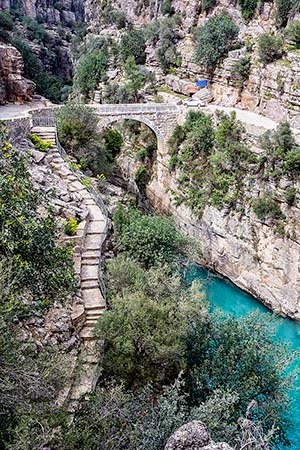 Like the Ancient Greeks, the Lycians lived in a series of city-states in the area of the Lycian Way. 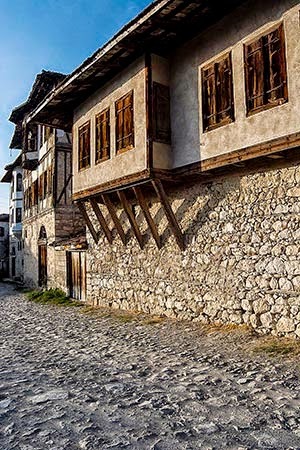 Unlike the Ancient Greeks, the Lycians cooperated through a federated government. However, the Bouleuterion is not just a pretty building. Patara has had a major impact on the whole world. By the "world", I don't mean that the chambers of the American Congress place rows in a semicircle just like the stone seats in the Bouleuterion. Montesquieu (1689 – 1755) was a philosopher famous for his articulation of the theory of separation of powers, which is implemented in many constitutions throughout the world. He was also highly regarded in the British colonies in North America. 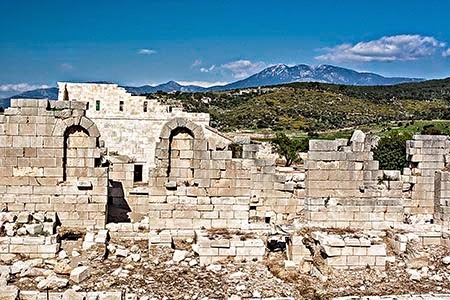 Montesquieu had a powerful influence on many of the American founders, especially Alexander Hamilton and James Madison, who discussed ancient Lycia as a model for the United States in their letters called The Federalist Papers. Some of the influences used by the USA and other countries are government by elected representatives, representation in proportion to size (population) of each member state, and strong national government. The Lycian League had 23 city-states as members. 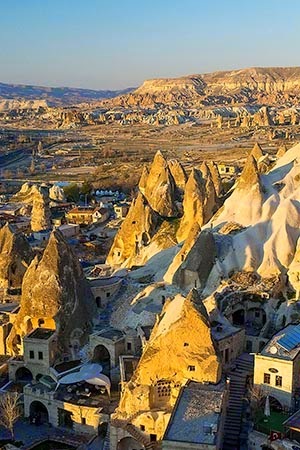 Large city-states like Patara had three representatives, mid-sized cities had two and small cities had one. Montesquieu described it as the best As well as first example of European democracy. 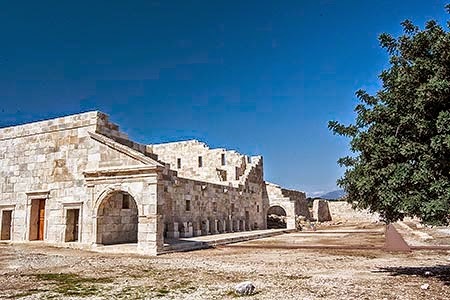 In other words, the Bouleuterion is the parliament building where the elected representatives of the Lycian League met. 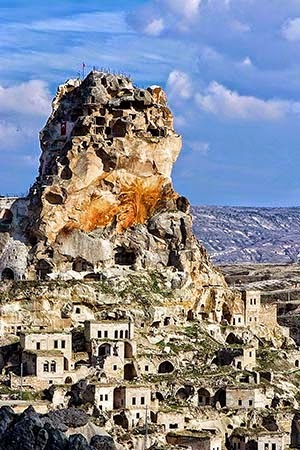 We discussed the Lycians in the Dalyan and the Lycian Tombs post. Their influence is now even more significant as not only one of the founding fathers of the European peoples but also democracy.